If you’ve ever wondered what it would be like to combine a turn-based Role-Playing game with the type a sliding-tile puzzle game, Pocket Titans is the answer. 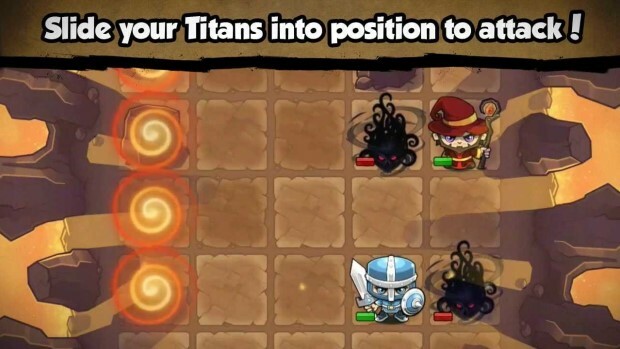 A strange hybrid of puzzle game and RPG, Pocket Titans adds an extra dimension to what you stereotypically expect from a swords and sorcery adventure. You control a group of Titans – trainee heroes – as they set out on their first quests and learn how to best use their individual talents. Each of the eight Titans in the game is a unique class, with individual skills and abilities that much be learned and mastered in order to successfully complete levels. 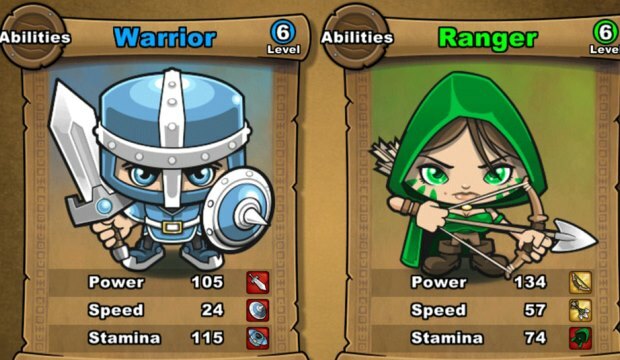 You begin with only the Mage and Warrior, with the Mage having a strong ranged attack and weak close combat, and the Warrior possessing great Melee strength. As you go forth on your quest to help the King of the land, you will encounter friends and foes, and unlock more Titans for your team. The game moves along a basic over-world map, which leads you onwards through story quest levels, as well as a few optional extra quests. Your characters earn money, gain experience and level up through battle – just like any regular RPG game – and can also win or purchase extra equipment. 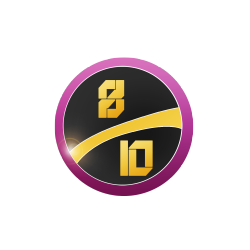 The optional quests give the player extra chances to gain these, whilst the world map also allows completed levels to be re-played if you want to grind your levels up. Both equipping gear and levelling up will give you extra skill points and teach the characters new abilities. And it is tactics and planning that are really at the core of the game, and this is where the puzzle element also emerges. The action takes place on a five-by-five game board, populated by your team (usually from 2-4 characters, depending on your progress), enemy units and environmental objects such as boulders that act as blockers. Each row of the grid can slide up, down, left and right – moving all objects present around the board at the same time. Being turn-based, you and the enemy get up to two chances to slide the board before each of turn. This therefore requires some planning of where your units need to be located in order to best approach the fight. For instance, the Ranger is poor when situated next to an opponent, but has a very effective attack when at long range and a diagonal angle. The Rogue on the other hand can throw poison darts in straight lines only, or perform a backstab when adjacent to an enemy. You have to pick your best team before a battle, then plan your attack and make the necessary board moves to ensure that your attacks are as effective as possible. There are also other aspects to account for. Blockers can prevent your units from attacking enemies, so you must move around them to clear a line of sight , for example, and there are also sometimes modifiers on the board. These may increase your attack or defence, or even cause fire damage to whoever stands over it. 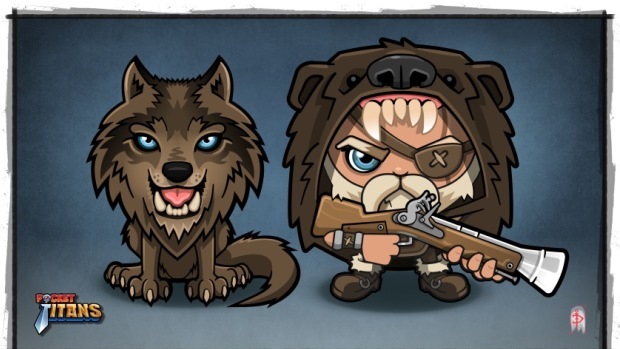 These do not move when you slide the board, meaning that you have to move your units – or indeed enemies – into the modifier in order to trigger it. This again brings more tactical elements into play, where you can make your attacks more effective by positioning an enemy beneath a fire modifier and positioning your units well for their own attacks. If all of this wasn’t enough, there is a wide range of enemies to take on, each with their own unique skills too, so gamers really have a lot to learn and take into account. This extends to end of world bosses who are inevitably over-powered, requiring some clever thinking to defeat. Some quests even have specific goals other than defeating enemies, such as not allowing civilians (who must also be managed) to be killed in the midst of the battle. Thankfully, there’s an ever-present help icon, which will give advice on whatever is currently happening on-screen, meaning that you will always be able to check if something happens that you’re unsure of. This is all part of a presentation that appears basic, but has some charm in the cute, almost Chibi-like character models. However they all speak in something similar to Simlish, which can become annoying, and there is no variety in the in-game music, with the same two tracks looping endlessly – even more obvious when they are short and they start and end so abruptly. There is even a multiplayer mode offered through Game Centre integration, allowing you to battle friends or use match-making to find a suitable opponent. Interestingly, all of your characters will be maxed-out for multiplayer games, but your equipment, both bought and earned in the main quest mode, will transfer into multiplayer – at least allowing for a little customisation. Multiplayer comprises only of simple one-off matches though, and won’t hold your attention for long when the single-player mode offers such variety. VERDICT: Pocket Titans certainly isn’t a game that will grab you right away. It begins quite simply and slowly, which isn’t particularly exciting, but once it gets into its stride and introduces more puzzle elements into the mix, the gameplay becomes a lot deeper and more involving. The extra level of tactics created by the sliding tiles game board makes the idea of turn-based play more appealing, and actually gives a good reason for the turn-based format. The story may be as generic as you could find in an RPG, but it is the addictive puzzling that will keep you playing the title for much longer than you would expect. 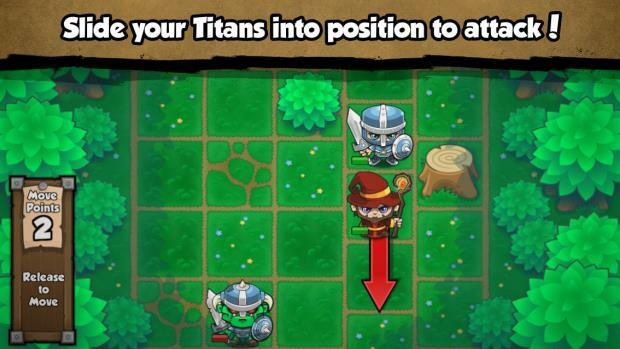 Pocket Titans really grows on you, and will keep you coming back to the battlefield for one last quest.